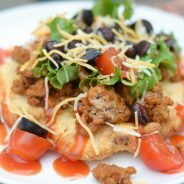 Make Gluten Free Air Fryer Indian Tacos with a Gluten Free Fry Bread. It’s simple and absolutely perfect for quick weeknight meal! Several years ago, I decided to try to make a Gluten Free Indian Taco. I found out rather quickly that it’s actually simple to make from scratch. The dough really isn’t much work to get together and then you can be enjoying your favorite fair food at home. 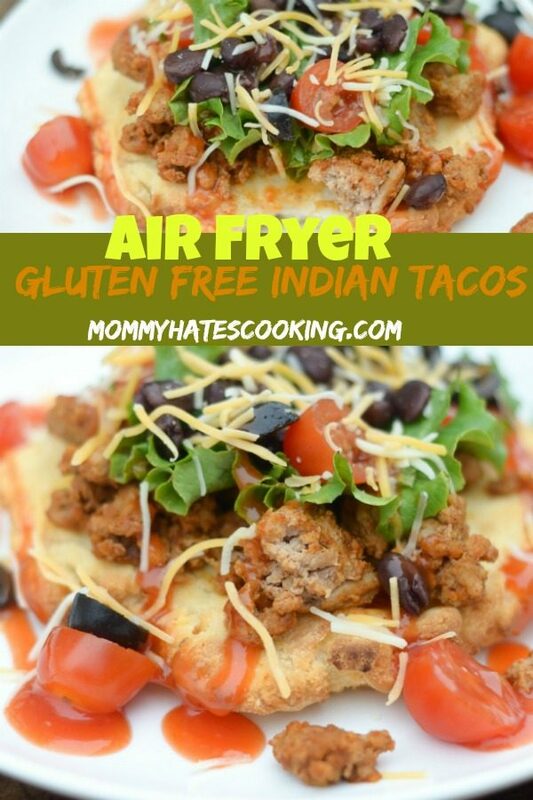 As I’ve fallen in love with my air fryer, it was only natural that I try to make Gluten Free Air Fryer Indian Tacos too! I made these with a gluten free air fryer fry bread. Which Gluten Free All Purpose Flour to Use? 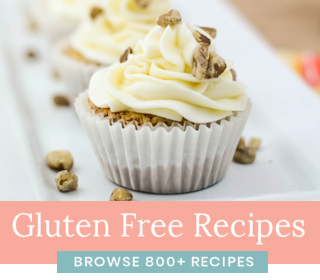 I have used a lot of gluten free flours over the years; however, I ALWAYS just use one in every recipe that I make, unless I specifically call out another. I always use Gluten Free All Purpose Flour. 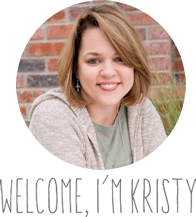 I am all about quick and easy recipes, and I really don’t have the time or energy to mix and match a variety of specialty flours. If you like to do that, by all means go for it; however, that’s just not me. The majority of my recipes are made with one in particular, Better Batter Gluten Free All Purpose Flour. 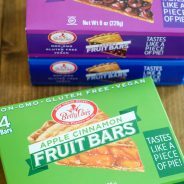 In full disclosure, I have been writing menu plans for Better Batter for many years, so I do have a relationship there; however, when I first started my gluten free journey they were one of the few brands that actually made a gluten free all purpose flour. Now, there are so many more that also do. I’m going to highlight some of them here. These are the 3 that I have personally tried and find they each work really well. It’s all a 1:1 switch between traditional all purpose flour and gluten free all purpose flour. 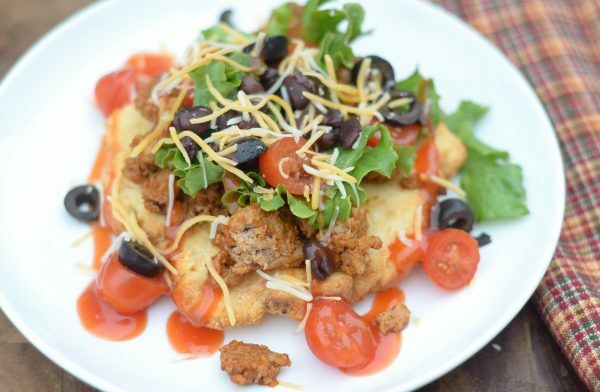 How do you make Air Fryer Fry Bread? There are a few others out there too like the Great Value Walmart Brand Gluten Free All Purpose Flour and also a Betty Crocker Gluten Free All Purpose Flour. I have not personally tried either of these, so I can’t speak to how they work; however, I will say that the products I have tried from these brands do work well. I am honestly amazed at how far gluten free cooking has come, when I first went gluten free many years ago, there was nothing. I’m not even kidding, literally nothing you could buy at your local grocery store or Walmart that was a specialty gluten free product. I always had to shop elsewhere, now you can find almost everything you need just at Walmart or Target. It’s so nice! Makes eating gluten free a breeze these days. 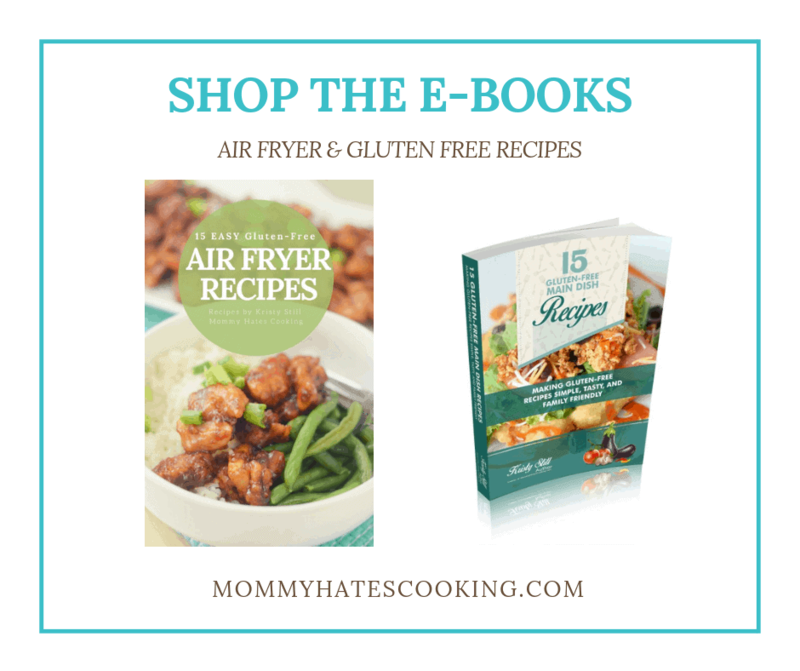 How do you make Gluten Free Air Fryer Indian Tacos? Now, making these Indian tacos in the air fryer is also a breeze too. 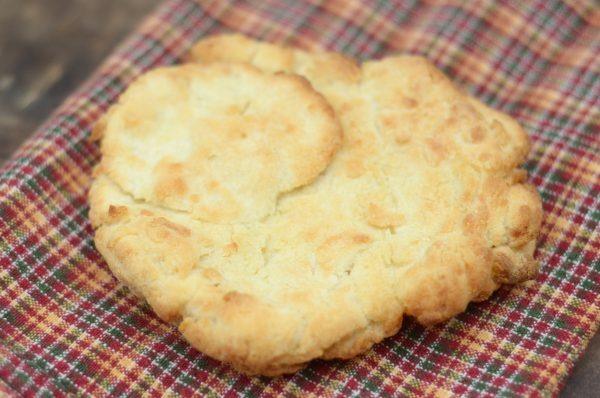 Once you have the batter ready to go, simply add the gluten free fry bread to the air fryer and cook at 355 degrees for 10 minutes on each side. I also sprayed it with a bit of olive oil cooking spray simply to get a nice light brown coloring. The time may need a bit of adjustment depending on which type of air fryer you are using; however, it should be rather close with each one. 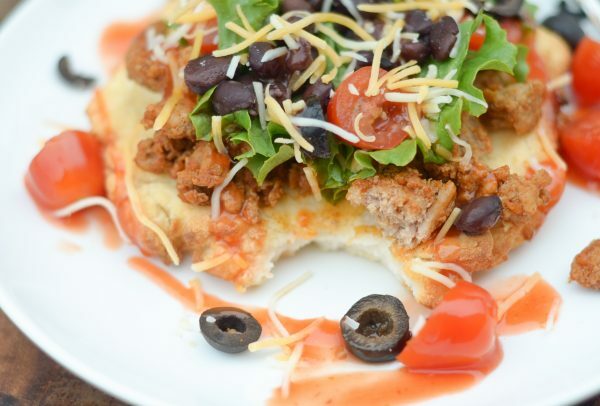 Once the fry bread is done, simply top with your favorite toppings and serve! You’ll be impressed as will your family. 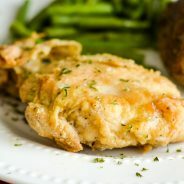 My husband and kids enjoyed these, as did I. It’s so nice when you can make some of those tasty fair foods at home, especially without all the oil in the air fryer. Something to keep in mind is that the texture will be a bit dryer than if you used cups of oil, keep that in mind. It’s not too dry though; however, it also isn’t going to taste the exact same as being deep fried. 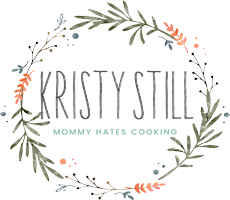 I have no doubt though you will fall in love with these Gluten Free Air Fryer Indian Tacos. These take just about 10 minutes, fill the taco and cook it all in the air fryer. Just like those delicious fried pickles you love, but these are made without oil and gluten free. 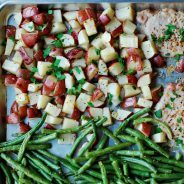 This dish is absolutely wonderful, plus gluten free. It will give you that great take-out flavor without the extra calories. 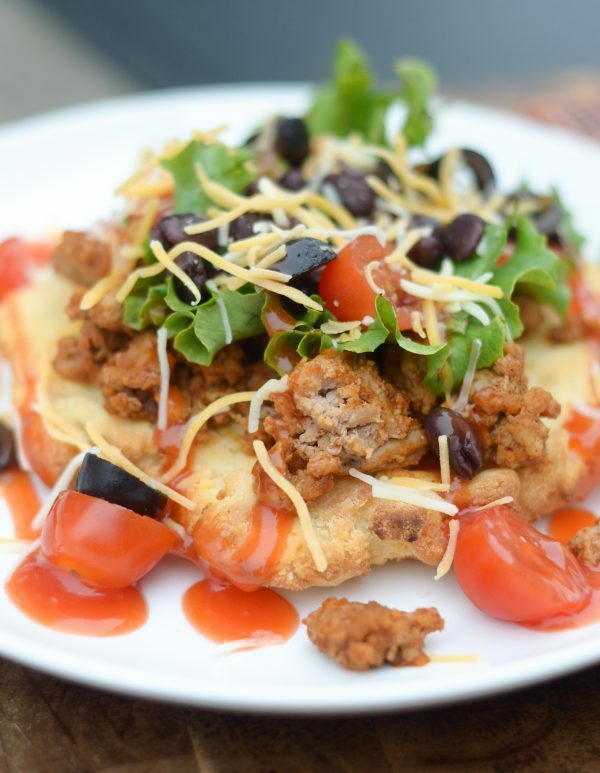 Now enjoy these Gluten Free Air Fryer Indian Tacos. In a bowl of a stand mixer, mix together the flour, salt, and baking powder using the paddle attachment. Once this is mixed, add in the milk and slowly pour in the water until it reaches a good consistency (start with 1/2 a cup). Using the gluten free flour, I had to use a full cup. Cover and let it rest for about an hour. Once you are ready to make the fry bread, grab a handful of dough then shape into your desired size. These were about 4-5 inches across for me and make about 4-6. Place the dough in the air fryer, spray with a light coat of cooking spray. Cook at 355* for 10 Minutes, check 1/2 way through to be sure it's browning nicely. Flip and cook for an additional 5-10 minutes until light brown. At this point, you can also coat with spray again to achieve the light brown color. 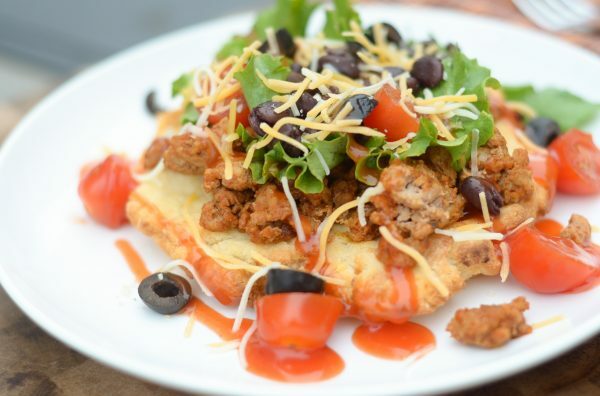 Once all the fry bread is cooked, simply top with your desired taco toppings to make your Gluten Free Air Fryer Indian Tacos.